Norwich City boss Daniel Farke believes the pressure is off hosts Preston North End when he takes his side to Deepdale on Wednesday night. The Championship leaders come to town hoping to stay out in front after their win in the East Anglian derby against Ipswich on Sunday. North End have designs on a strong finish to the season themselves though and are unbeaten in their last five. 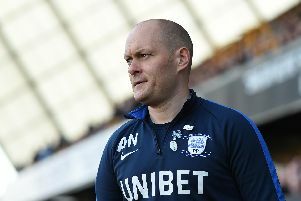 "We are unbelievably respectful of Preston because we know that it's going to be the most difficult game we've had in recent weeks,” Farke said at his pre-match press conference. "They almost pushed into the play-offs at the end of last season. “They've only lost once in their last eight games in the league and they have no pressure right now. "They will be highly-motivated and they have had one day more to recover than us. “It will be unbelievably difficult task at Preston and we have to be at our best."